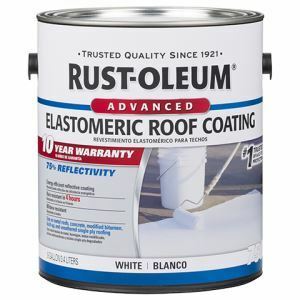 Rust-Oleum® 10 Year Elastomeric Roof Coating provides a high initial reflectivity value of 75%, energy efficiency, long term durability and excellent resistance to weathering and dirt pick-up. Mix with a power assisted mechanical mixer before and during use. Mix until the coating is smooth and consistent.